I spent many hours in a car recently, driving from the SF Bay Area to San Diego. And when I wasn’t doing my share of driving (boring brown, brown, brown and endlessly straight roads – occasionally interrupted by a dust cloud or two), I read. Ok sometimes I stared out the window and browsed the Internet. I had filled my Kindle and Nexus with e-books and e-magazines from the digital library. In the end I didn’t even open any of the magazines, but I concentrated on reading two books. I’ll Be Right There by Shin Kyung-Sook and Where’d You Go, Bernadette? by Maria Semple. Two very different books. Set in opposite sides of the world. One translated from the Korean, the other written in English. They provided a good balance though. 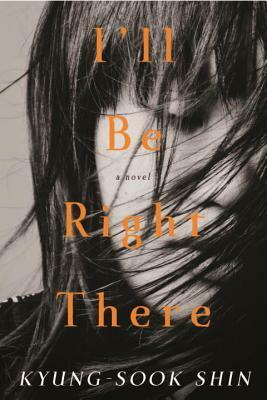 For I’ll Be Right There is a poignant, affecting read that stole a bit of my heart every time I turned away from it. And Bernadette was a precious, light, fun read in between, unforgettable in its own way. While I enjoyed the previous book of hers that I read, Please Look After Mother, I fell for I’ll Be Right There. And to emphasize how much I loved this book, I read it and read it and read it on the Overdrive app on my Nexus, screen glare, inability to highlight passages, bumpy ride in cars, kids making noise in the second row and all. It was that absorbing. This next bit might be a bit of a spoiler if you are interested in reading this book. It was something that hit me hard but don’t worry, I won’t give much detail. Towards the end of the book, it comes to light that one of the characters was dealing with anorexia. It’s something that made me sit up and swear silently to myself. Just a few days earlier, on the day we left for our roadtrip, I woke to a message from my friend in Singapore saying that she had found out that someone we both knew had passed away from complications due to anorexia. I hadn’t heard her name in years but it was still a shock to learn of her death. While we weren’t close, she was someone I saw often at school, and it made me sad to think of how I hadn’t kept in touch with her since. Perhaps those circumstances made this novel more meaningful to me. Or perhaps it was just good writing – the characters Shin brings to life, their lives and loves, their pain and suffering. 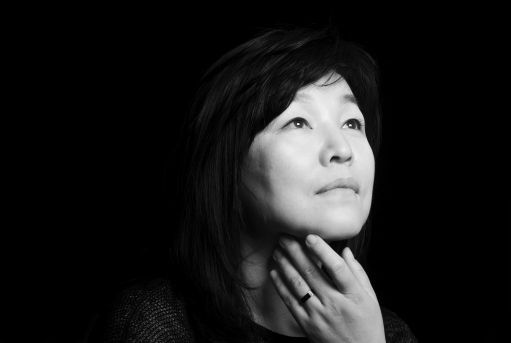 Kyung-sook Shin was born in 1963 and is part of the ‘386 generation’, a cohort of young Koreans who were particularly politically active in the democracy movement of the 1980s. Despite her political involvement, however, her works look inwards at her characters’ psychological wounds and difficulty in reconciling themselves to their present and future. Her novel Please Look After Mother has sold over two million copies in Korea and won the Man Asian Literary Prize, and is available in translation in English. The novel struck a chord in Korea; the story of a rural woman becoming lost in Seoul while attempting to visit her children in the city contains profound echoes of the anxiety in Korea over the recent shift from the traditional to the modern. Her other novels include I’ll be Right There, A Lone Room, The Strawberry Field, and Lee Jin. In 2011, Kyung-sook Shin taught at Columbia University in New York as a visiting scholar. Sounds intriguing. Am not familiar with Korean literature but I do like reading so will look it up. Thanks for your review. I loved her first novel and am glad to learn about this one. I’m off to find a copy. I really enjoyed this book more than her first one. Hope you will too!